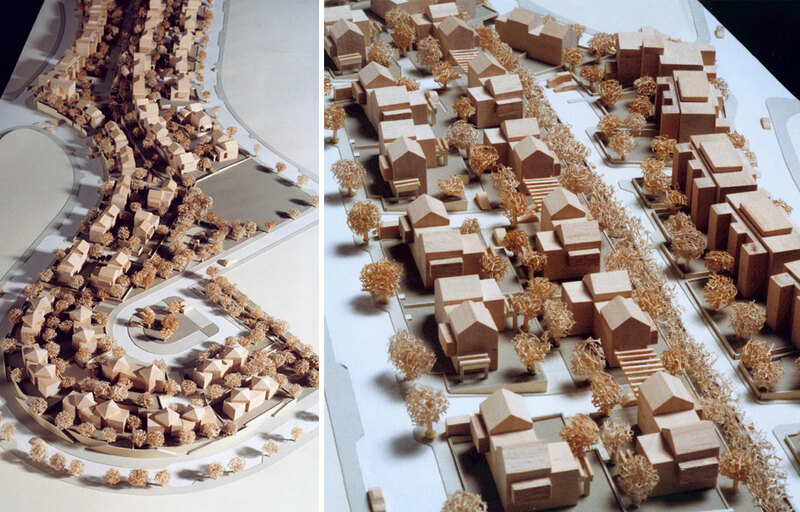 A unique design for high density, low-rise residential clusters on a hilly site in Modiin. 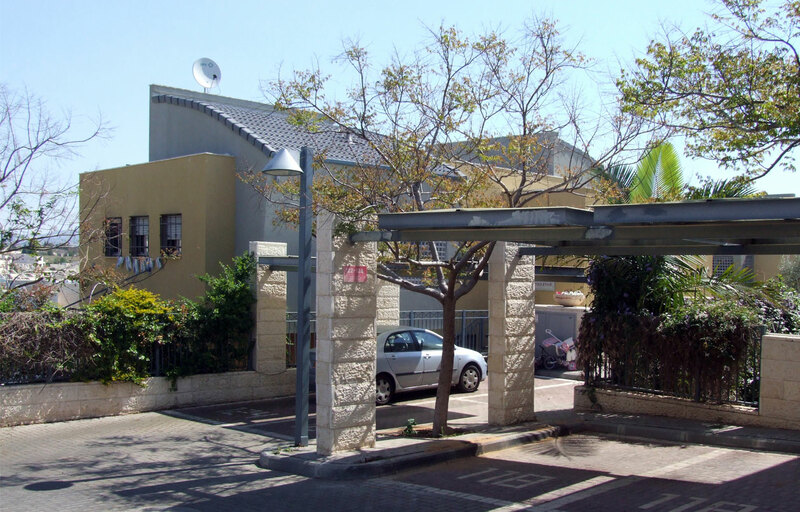 This 120 dwelling units development offers a pattern of 8 unit "groups", consisting of semi-detached 3 story houses set around a common enterance and parking area. The unusual design of the curved roofs, slanted walls and color combination completes the overall look of this "urban village". Photography by Ran Erde. 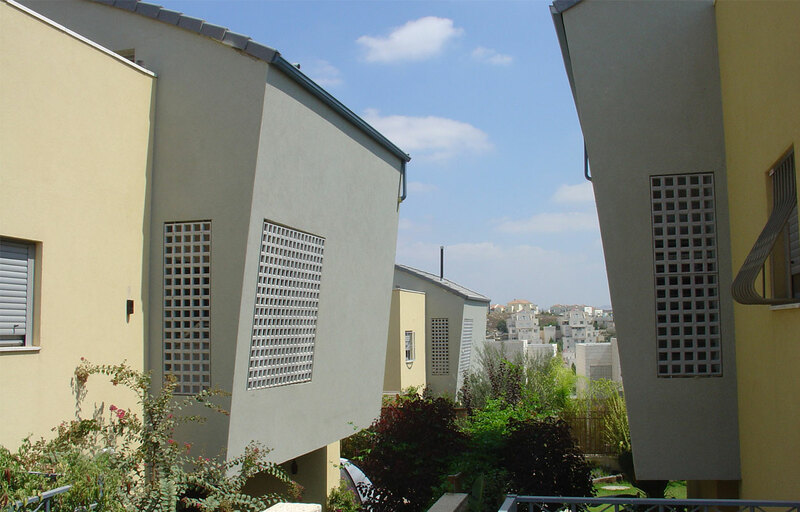 A unique design for high density, low-rise residential clusters on a hilly site in Modiin. 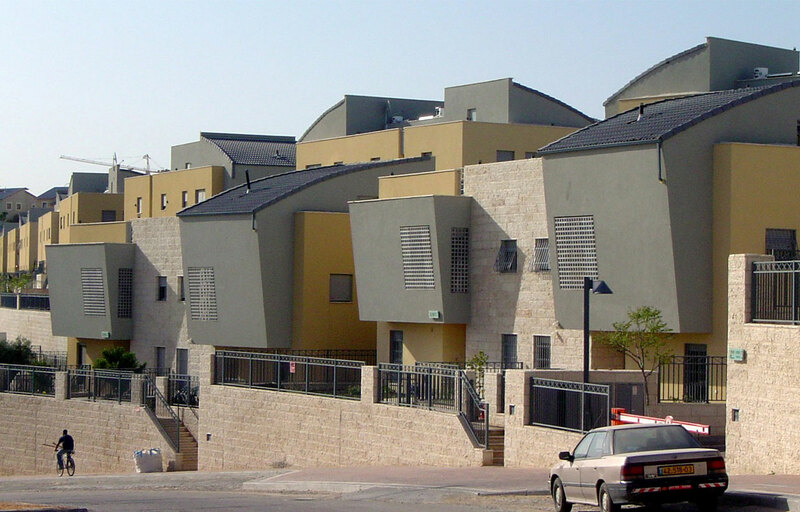 This 120 dwelling units development offers a pattern of 8 unit "groups", consisting of semi-detached 3 story houses set around a common enterance and parking area. The unusual design of the curved roofs, slanted walls and color combination completes the overall look of this "urban village".